Both women and men are worried about their physical appearance. The present fashion trends contribute to this phenomenon. They are also affected by what they see or hear in the media. As a result, many people are turning to cosmetic surgery in order to look and feel better about their physical appearance. One of the solutions to keeping that waistline in check is the Brazilian Tummy Tuck. A combination of abdominoplasty with traditional liposuction, this procedure is meant to give people improved midsections. At the same time, the procedure leaves little room for complications. Who can benefit from a Brazilian Tummy Tuck? People who find it hard to enhance their abdominal region are the perfect candidates for a Brazilian Tummy Tuck. The truth is, even if you can exercise and tone your core day in and day out, it may not be sufficient for toning your midsection. Though women are often associated with cosmetic surgery, men have also been getting procedures like abdominoplasty and liposuction. Women who have already given birth are usually the best candidates for a Brazilian Tummy Tuck. This is because it can help them lose the excess fat that childbearing has brought about. It must be said, though, that those who commit to a Brazilian Tummy Tuck should maintain their figure through a stable diet and regular exercise in order to reap the full benefits of the procedure. As a preparation, people who want to go for a Brazilian Tummy Tuck should be open about their medical histories with their cosmetic surgeon. 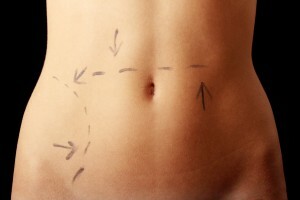 A Brazilian tummy tuck includes having incisions done above the pubic region. After that, the skin will be detached so that the muscles can be tightened. When this procedure is over, excess fluid from the abdominal area will then be removed, which will pave the way for a flatter, firmer tummy. Like all cosmetic procedures, there are risks associated with a Brazilian Tummy Tuck. One of the dangers of undergoing this treatment is asymmetry. Another is excessive scarring, which will ultimately leave people dissatisfied with the procedure. Infections, blood clots, and severe bleeding are also possible with a Brazilian Tummy Tuck. The healing process of a Brazilian Tummy Tuck can take quite some time. The healing process usually depends on the age or the person. The younger a person is, the faster the healing will be. A Brazilian Tummy Tuck can do wonders for a person who wants to have the optimum abdominal physique. However, before going for these kinds of treatments, one should always think of the dangers that could be experienced during and after the procedure. This surgery is highly invasive and will require a large time commitment to fully heal. Make sure you’ve weighed the pros and cons before going under.